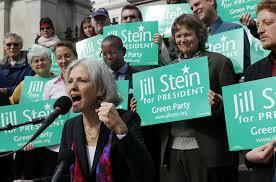 Running what she calls a “people –powered” campaign, Green Party presidential candidate—Dr. Jill Stein—has been spending a lot of her time stumping. Along the campaign trail, she stopped by the KLCC studios to talk with Tiffany Eckert about her reasons for joining the race and why Americans should embrace a third-party system. 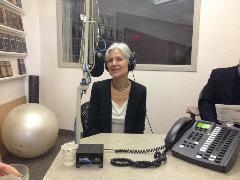 An interview with Green Party Presidential candidate Jill Stein. Oregon U.S. Senator Ron Wyden joined fellow Democrats today (Tuesday) condemning comments made by Republican Presidential Candidate, Donald Trump, about Muslims. Trump said he thinks all Muslims should be barred from entering the U.S., either as immigrants or visitors. Wyden described Trump's statements as "outlandish" and "insulting to our American values of welcoming refugees from violent oppression and terror."